All IHS members have access to a treasure trove of information in the Digital Horn Call Archives section. Much of what you want to know about the horn can already be found in past and future Horn Call issues. 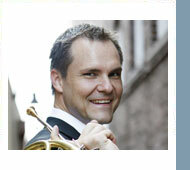 Become an IHS member and dive deeper into your horn passion, whether as your hobby, vocation, or career. Whether it be through The Horn Call, our Website, Social Media, or this Digital Newsletter let us be your regular reminder of what you love about the greatest instrument on earth - The Horn! 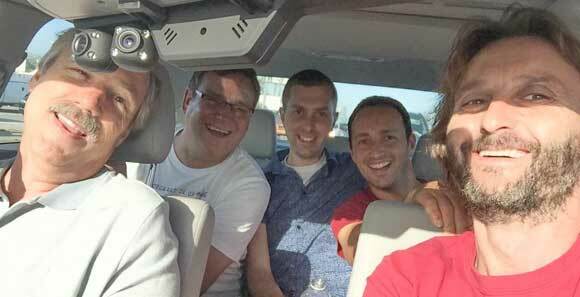 l to r: Steve Lewis, Dietmar Dürk, Jacob Medlin, Felix Cantesanu, Ion Balu, on their way to Venice Beach during IHS LA 2015. Kristina Mascher-Turner: Ion, I can imagine you in your room as a kid, coming up with inventions based on whatever was at hand. Have you always had the urge to create new things? Ion Balu: When I was six years old, I was sent to a special music school run by the Romanian communist government. I lived in a dorm along with other students, so we didn't have our own private space. I remember very clearly my visits back home, which averaged to about two and a half months a year. Once, I made a very basic, simple radio, and I used my mom's clothes line as an antenna. I made a tiny hole in the window frame, and late at night I would pull in a wire to my radio, and I would just sit there for hours transfixed listening to faraway radio stations. I should mention that under the communists we were so isolated from the world, that it's not even funny. Imagine North Korea now, but with absolutely no computers, internet, cell phone etc. This was the 80's. So, listening to random AM stations was a very cool way (for me) to connect to the outside world. KMT: Would you say that growing up in a different culture has encouraged you to think outside of the box? If so, how? IB: Definitely! I think the sheer lack of tools or information helped us come up with extremely creative solutions to problems that would arise. Nowadays, we have the "interwebs", and you can Google anything and basically come up with a solution. Not then. I remember once our football got punctured, and there was no option to buy a new one, I walked around the city and found a shoe repair shop that gave me some contact cement and some leather remnants. I easily patched up the ball. Another time, I bought an electric guitar, and I completely reshaped the design using just very basic tools. A hack saw, sandpaper, and some auto body filler. I took it to a auto body shop to paint it, and the dude there was mesmerized at how good the finish was, and he offered me a job on the spot, saying something like, "You can make a lot of money fixing dents on cars...". I'm glad I didn't take that job and stayed with my music, otherwise I would've never been here now. KMT: How did you come to make your first mute? Describe your work space and available materials. Winner receives a 3 year IHS membership and a free t-shirt. Entry Deadline: December 1, 2015. The judging will be done by the Executive Director and a committee from the Advisory Council. The winning designer will be notified by March 1, 2016 and the shirts will be available at the 2016 International Horn Workshop and at future workshops. Click here for more information. Horn technicians and builders tend to be highly original, maybe even quirky, individuals; but I have not experienced one quite as unique and fascinating as Bruce Tubbs, of Ottawa Lake, Michigan. Just about 30 minutes from Toledo, Ohio, a trip to his 1870s farmhouse to see his “shop” (and also the extensive shop of his wife, Ann, who is an artisan potter) is always an event to remember. I use quotes around the word “shop” as Bruce has converted the tiny root cellar of the house into his shop, hanging bells and horns from the rafters to make the most of the limited floor space. Bruce came to his trade late, and from an interesting and meandering path. Raised in Lansing MI, Bruce studied with Doug Campbell at Michigan State University, graduating with a Bachelor of Science in 1966. He went into the Peace Corps for a year, and then found himself teaching junior high school in inner city Detroit in 1967, the year of the riots − his school was, indeed, set on fire during one of them. From there, he taught in Saginaw MI, Washington DC, cofounded Spring Elementary School in Boulder CO, and then cofounded the Upland Hill Farm School in Oxford MI. He and Anne then moved to Connecticut, where Bruce worked as a carpenter, and was a self-employed artisan cabinet-maker. In 1979, they moved back to the Midwest, this time to Toledo, where Bruce was building furniture and working as a building supervisor in Ann Arbor MI. Then, quite unexpectedly, Bruce began to suffer severe pain due to Carpal Tunnel Syndrome and had to change careers. He went back to teaching, joining the faculty at Maumee Valley Country Day School, in Toledo, in 1990. Of great importance to us horn players, he rediscovered his love for the horn in 1992 when he found his old cherished Reynolds Chambers model in Chicago at a friend’s repair shop. 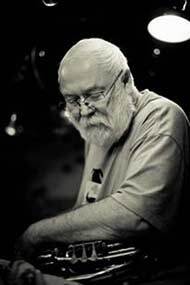 He started “fooling around” (his words) with repair and customization in 1995, and when he retired from teaching in 2010, threw himself into full-time horn repair work and custom building. We continue to add videos by prominent performers and teachers to the Horn Excerpts section of the website, for IHS members only. New this month are six videos by Randy Gardner, discussing excerpts from Dvořak's Symphony No. 9. If you're not a member, JOIN NOW to view these videos.